This last week I’ve been working on transforming a paper that Dimitri Nakassis and I wrote from the 2016 Archaeological Institute of America annual meeting. The paper was for a panel organized by Deb Brown and Becky Seifried on the topic of abandoned settlements. Dimitri and I wrote not so much about settlements as about roads and routes through the Greek countryside using the Western Argolid as an example. As I’ve worked to transform the paper into a proper article, I’ve started to try to weave together two complicated little strands related to regional level intensive pedestrian survey. One strand understands the countryside as contingent and dynamic and challenges the perspective that rural Greece was backward or unchanging guide to ancient practices. 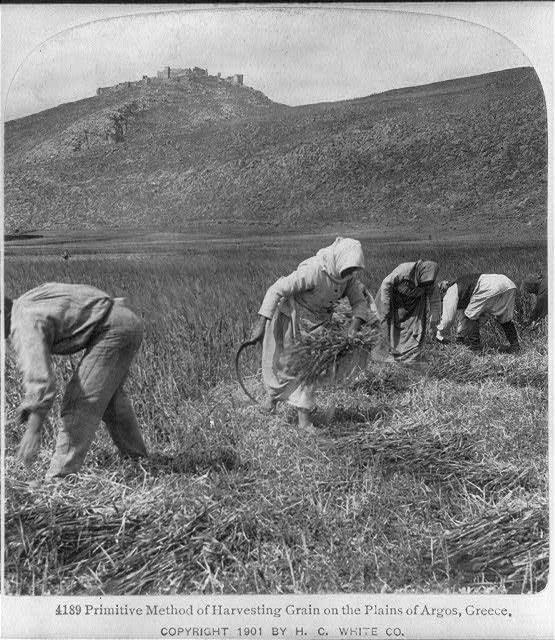 The view of the Greek countryside as stagnant and conservative drew heavily on both contemporary Western views of conservative rural life as well as Orientalist ideas that the East was resistant to change and, as a result, and unreceptive to the forces of progress (and perhaps resistant to the transformative power of capital). The most obvious expression of this among Classicists was the tendency to look to rural life and practices as a place that preserved ancient culture. Efforts to conflate ancient places with modern villages by the modern Greek state reinforced the plausibility of a conservative countryside. This, in turn, supported the nationalist narrative advanced by both the West and the Greek state itself that the modern Greek nationstate had it roots in the Ancient Greek world. By changing Slavic, Albanian, or Turkish place names to the names of Ancient Greek places, the modern state sought less to overwrite the more recent history of the region and more to restore the authenticity of the Greek countryside. For archaeologists, this confidence in a stable Greek countryside arrived with the early travelers who took ancient texts as their guides and consistently noted practices that evoked those in ancient sources. By the 1980s and 1990s, however, intensive pedestrian survey and processual archaeology had begun to produce evidence for a more dynamic view of rural settlement patterns where even major settlements expanded, contracted, appeared, and vanished over the centuries. Attention to the Early Modern and Ottoman Greek landscape by the Argolid Exploration Project and in the Nemea Valley demonstrated that far from being ossified and unchanging, rural life, economic strategies, and settlement in the northeast Peloponnesus was in constant flux as denizens of the countryside adapted to local and regional economic and political opportunities. To put their conclusions in starkly contemporary terms, scholars like Susan Buck Sutton demonstrated that precarity of capitalism was alive and well in the Greek countryside throughout the Early Modern and Modern periods. While this may initially feel like something to celebrate as it makes clear that Greece was not an Oriental backwater, it should also give us pause as it reminds us that the self-sufficient farmer so celebrated for their independence was every bit a product of larger economic forces as any kind of individual will. Removing the condescending (and racist) burden of the Oriental conservatism from the backs of the Greek peasant and replacing it with forces of capital does not, necessarily, impart more agency in the Greek villager, farmer, or pastoralist. Agency within the capitalist system may appear more “modern,” but in some ways, it is only an inversion of an Orientalist reading of Greece by hinting that the instability, contingency, and precarity of rural life anticipates progressive modernity. Whatever the larger metanarrative at play, contingency is now a significant paradigm for understanding Early Modern and Modern Greece, and understanding the process of abandonment plays an important roles in recognizing change in the Greek countryside. Attention to abandonment involves a greater commitment to reading artifact scatters in the countryside as the products of archaeological and natural formation processes rather than palimpsests of settlement or other rural activities. As we come to privilege the contingency and dynamism of the countryside more, we also lose some of our confidence in assigning tidy functional categories to rural survey assemblages. Low density scatters of artifacts, for example, may well represent short-term habitation, low intensity rural activities, or even redistributive practices like manuring or dumping. For our paper, the significance of contingency and our reading of formation processes intersect in our analysis of two seasonal rural settlements in the process of abandonment and the routes that connected these sites to larger networks of travel in the region. 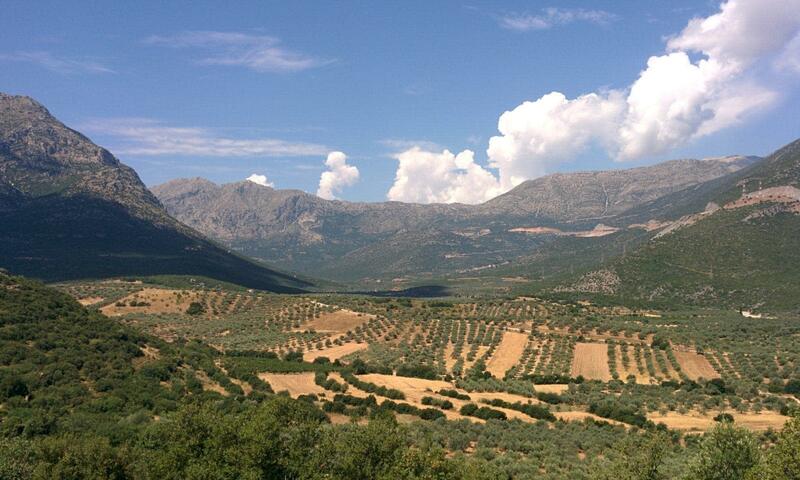 In traditional reading of the landscape of the Inachos Valley and the Western Argolid, scholars have tended to see modern routes along the flat valley bottom as more or less following ancient routes. In this context (and putting aside the role played by topography and geography, for example), long-standing roads serve as indicators of persistent patterns of movement, settlement, and the political relationship between places. A more contingent view of the countryside, however, forces us to consider the more ephemeral routes through the landscape that leave only fleeting traces in the landscape and connect less persistent settlements. Moreover, and this to my mind is really neat, roads and routes through the countryside also shape the formation processes at individual sites. For example, the proximity of an structure to an unpaved dirt road seems to have influenced whether that structure was maintained and used for storage or provisional discard. The dirt road, however, may not have any relationship to the earlier, simpler path that originally connected the settlement to other places in the region. Access by modern dirt road shaped the formation processes at play in the settlement. Structures only reached through footpaths tend to see less modern activity. For our paper, we present an example from the Western Argolid to demonstrate the presence and significance of these contingent routes through the countryside, to unpack the relationship of roads to formation processes at abandoned settlements, and to suggest that the contingent countryside is not simply about places, but also about all the interstitial spaces that define social, economic, and political relationships in the changing landscape.